Maybe grow a moustache or sport a bright red fez. They are flowing to his cause like benumbed molasses. That Romney can become their party’s guaranteed drum major. But money isn’t ev’rything (so goes the ballyhoo). But up in old New Hampshire he is guaranteed a trump. 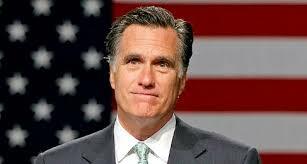 For others, maybe Romney, it becomes a lifelong blunder.